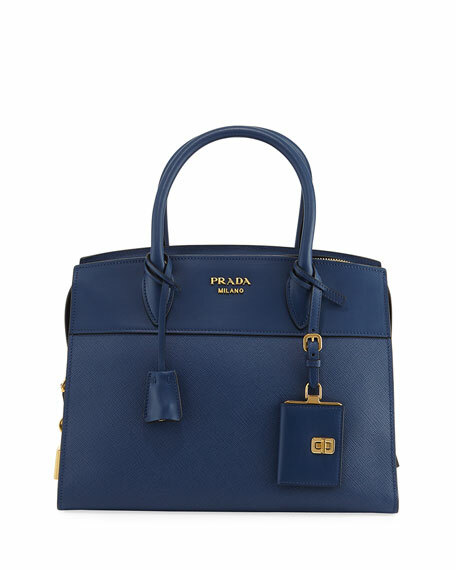 Prada Greca colorblock city satchel bag in smooth and saffiano leather with golden hardware. 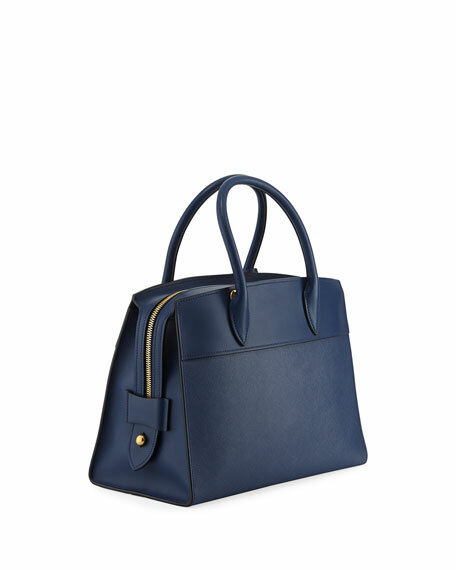 Extended zip top with padlock on side. Hanging luggage tag and covered key. 9.5"H x 12.5"W x 6"D.
For in-store inquiries, use sku #2249605.